Give maximum effort in this Nike® Air Max Invigor. This brand is a member of the Sustainable Apparel Coalition. Breathable synthetic upper for lightweight performance. Lace-up closure with secure fit. Padded tongue and collar. Signature Nike Swoosh® logo. 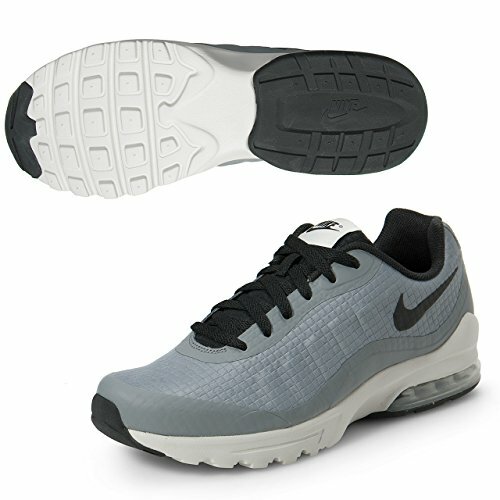 Visible Air Max unit in heel for shock absorption. Rubber toe bumper. Breathable mesh lining. Durable Rubber outsole. Measurements: Weight: 13 oz Product measurements were taken using size 12, width D - Medium. Please note that measurements may vary by size. Padded tongue and collar. Signature Nike Swoosh® logo. Visible Air Max unit in heel for shock absorption. Rubber toe bumper. Breathable mesh lining. Durable Rubber outsole. Measurements: Weight: 13 oz Product measurements were taken using size 12, width D - Medium. Please note that measurements may vary by size.